You can choose to accept multiple forms of payment at your Etsy shop. However, depending on your preferences, one or several may work better for your Etsy business. Here’s a rundown of the different types of payments you can accept. Credit card: Etsy’s Direct Checkout feature enables you to accept payment via credit card — namely, Visa, MasterCard, American Express, and Discover. Although it’s currently available only in the United States, this payment method is easily the most popular on the site. 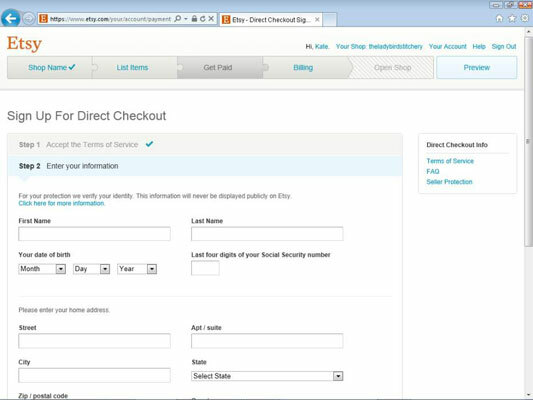 But wait, there’s more: Direct Checkout offers protection from fraud and enables you to purchase and print U.S. Postal Service shipping labels directly from your Etsy shop. Note: If you go the Direct Checkout route, be aware that Etsy charges a processing fee for each Direct Checkout order: 3 percent of the total sale (including shipping and sales tax), plus 25¢. 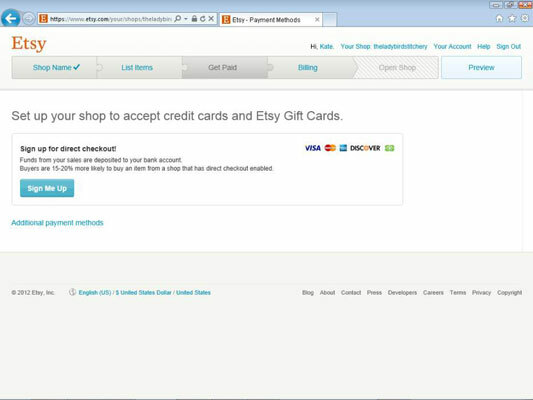 PayPal: PayPal is another popular method of payment among Etsy users. Electronic payments are instantly deposited into your PayPal account, and transferring money from your PayPal account to a bank account is easy and free. Money order: Some people are simply old school. They prefer the time-honored system of paying by money order over using newfangled digital solutions like Direct Checkout or PayPal. Fortunately, Etsy allows you to accommodate these buyers. The downside? Unlike with Direct Checkout and PayPal, payment isn’t rendered immediately. You have to wait for the buyer to snail-mail you the money order (or send it via other delivery service). Personal check: Allowing payment by personal check offers the same basic advantages and disadvantages as permitting payment via money order: You indulge the Luddites, but you have to wait for delivery of payment. Other: If you want, you can accept additional payment methods — say, cashier’s checks, gold doubloons, shiny beads, or what have you. If you opt to accept other forms of payment, be sure to indicate on your Shop Policies page what types you accept. 1If necessary, click the Your Shop link along the top of any Etsy page. The Shop Name page opens. 2Click the Get Paid tab. The Get Paid page opens. 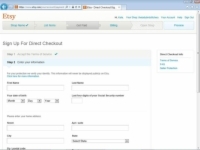 3To enable Direct Checkout, click the Sign Me Up button. Etsy displays the Terms of Service. 4Read the Terms of Service, and then click the Continue button to accept them. 5Enter the requested information and click the Continue button. Next, enter your bank info — the type of account you use, the name of the account owner, your bank’s routing number, and your account number. 6Enter the requested information and click the Sign Me Up! button. Etsy enrolls you in Direct Checkout. 7To accept other forms of payment — PayPal, money order, personal check, other — click the Get Paid tab. If necessary, click the Additional Payment Methods link. 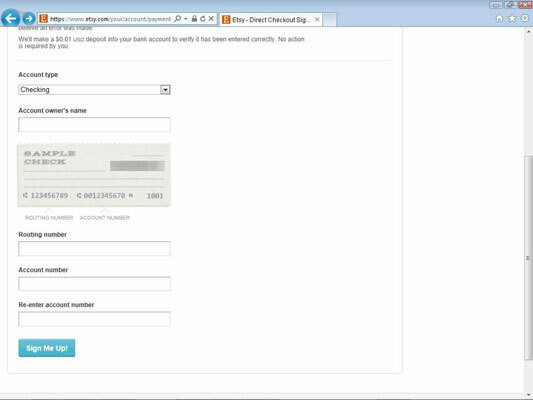 Etsy reveals additional payment options. 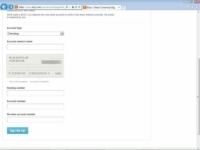 8Click the check box next to each type of payment you want to accept. When finished, click the Save button. Note that this is a global shop setting. Any items that you list in your shop will offer these payment options.